Welcome to AppleWatchDisplay.com, a fan driven site dedicated to the best accessories, cases, bands and solutions for the Apple Watch. I’ve been wearing an Apple Watch daily since it’s initial release, and in my opinion its a brilliant little device. Perfect? No, but still fun, useful and at times almost magical. With my extended use, I’ve learned a few things, collected quite a few bands, and tried out several different accessories. I’ve also invested a bit of time and effort into creating solutions to a few minor problems for which there wasn’t a ready made product available. 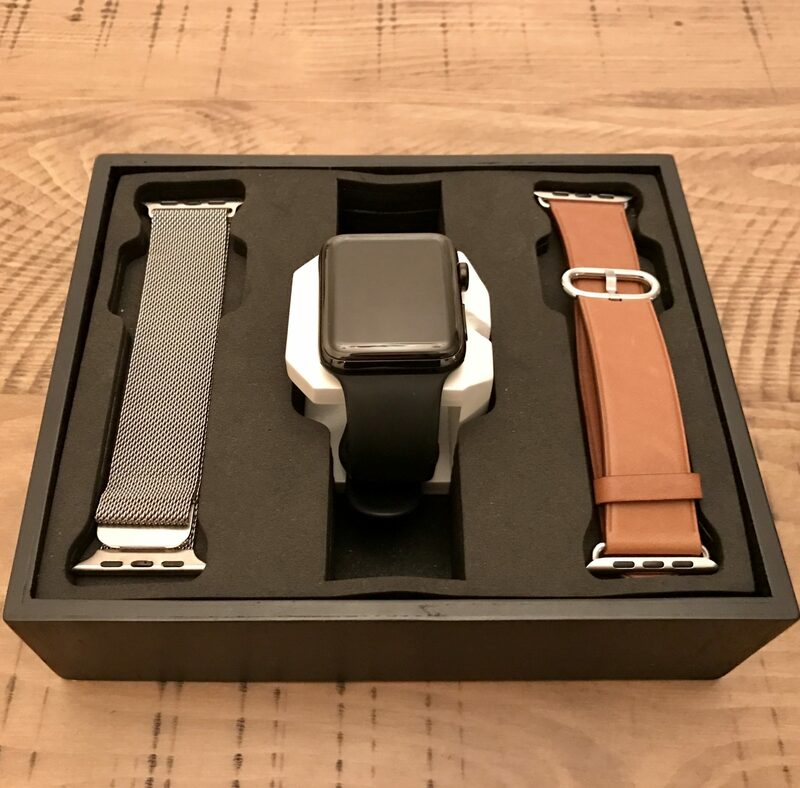 Below you will fine a compilation of accessories I have tried, a few custom display cases I built, and some of my favorite Apple Watch bands. In addition, I’ll add to this site a series of quick How-To tutorials for some of the super useful, but perhaps not so obvious, features and shortcuts for the Apple Watch. If you have any questions on the products below, tutorials, or just general stuff about the Apple Watch – why not ask? My first custom solution, a two band display case custom designed for the Apple Watch. 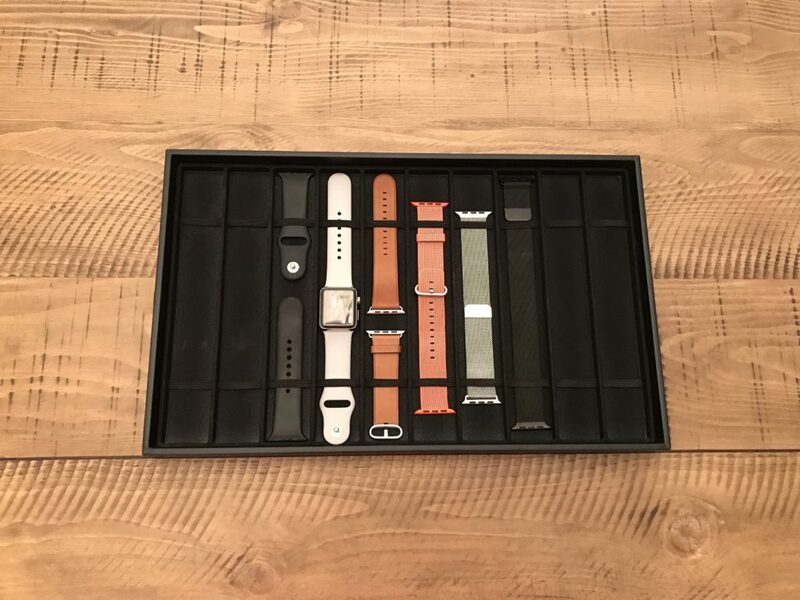 A beautiful, jewelry-grade case, custom designed to store, organize and protect up to five individual Apple Watch bands. 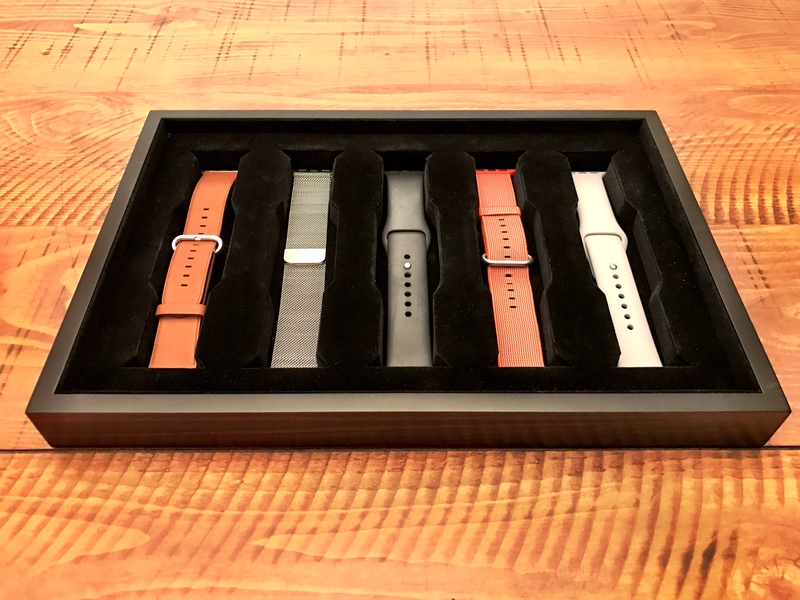 Of course, there are multiple display and organization cases made for traditional watches which can also be used for the Apple Watch. Below are a few I personally like. A versatile, multipurpose watch band case. 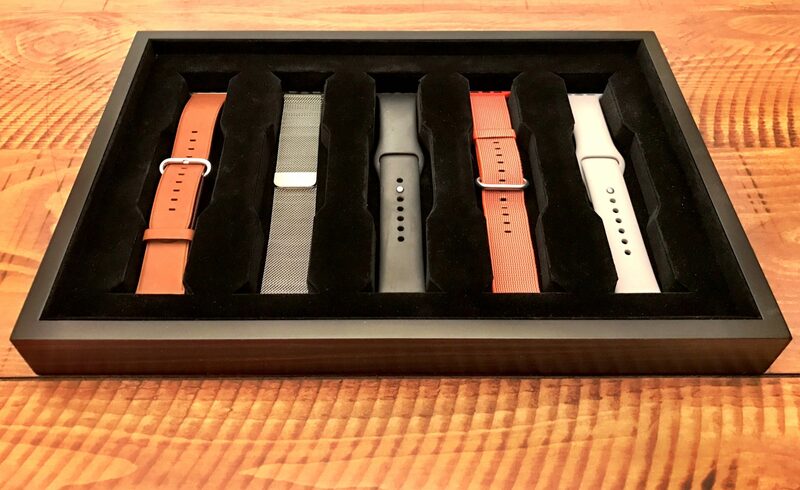 Great for storing both Apple Watch bands and extra bands from traditional watches. If you have any questions on the product, production status, or Pre-Orders please let us know.